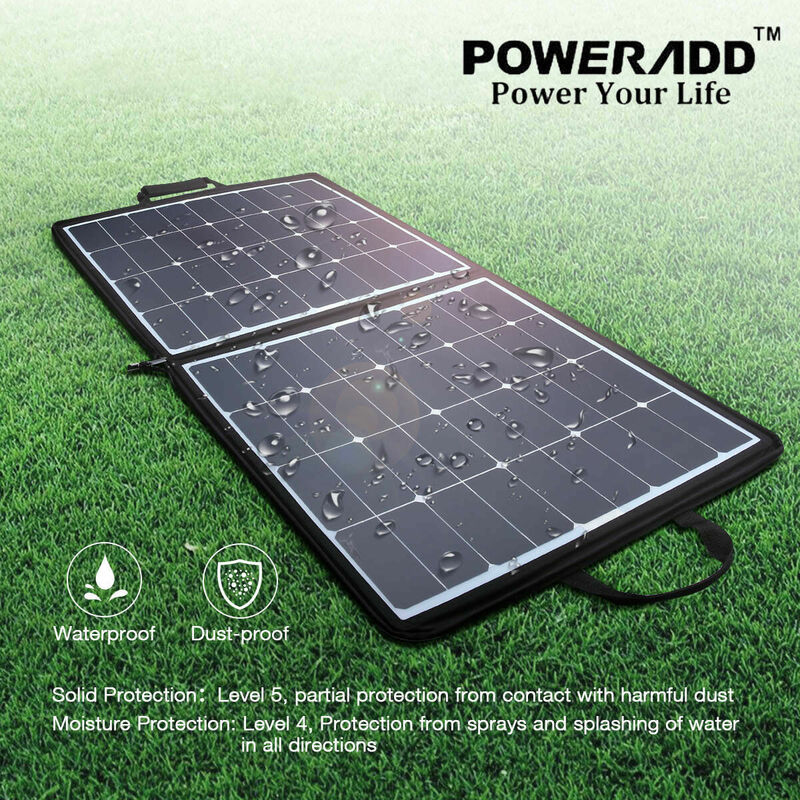 Product Specifications: * Brand: Poweradd™ * Color: Black * Output: USB 5V/2.7A（Max ), DC: 18V/2.1A （Max） * Output Interface: USB female socket * Solar Panel Rated Wattage: 100W * Working Temperature: 10℃~45℃ * Solar Energy Conversion Efficiency: 22%-25% * Material: PET laminated, PVC waterproof fabric * Suitable For: Mobile Phone / Digital camera / MP3 / MP4 / PDA / GPS, iPad, iPod etc * Fording Size:45.67"x23.62" * Unfording Size:23.83"x23.62" Product Features: Poweradd Solar Charger: It can automatically adjust the current and voltage to achieve maximum power,delivering its fastest possible current up to 3.2A under direct sunlight High Efficiency: Built-in SUNPOWER solar cell from US, up to 22%-25% efficiency, while most panels in the market are 15% efficiency. Also Built-in adjustable bracket, more effective to improve the conversion of light energy Dual-Port Output: USB port (5V/2.8A, Max) for charging your 5V powered gadgets, and 18V DC output (18V/3.2A Max) for charging your laptop or other 18V powered devices Safety Guarantee: CE, FCC & RoHS certified design, A grade materials and premium circuitry ensure its best performance and reliability. Built-in safeguards protect against over-current, overcharging and overheating for safe and fast charging. 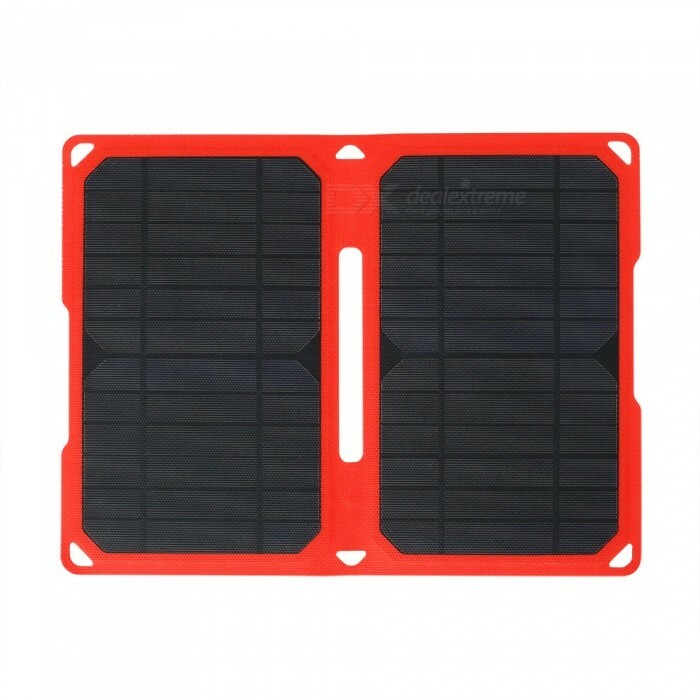 Package Include: 1× 100W Foldable Solar Charger, 1× Car Cigarette Lighter Plug to DC Cable, 10× laptop connectors, 1× DC cable, 1× USB cables, 1× User Manual, 1× Welcome Card. Solar Controller/Charger/Booster for Laptops and other 5v 2.1A devices - NEW! item. Connect your Solar Panel and your Laptop to the Solar Charger for a complete Laptop charge. Our light weight tote bag design Solar Panel "LVS60" (not included, sold separately )with the Solar Laptop Charger go hand in hand, keeping the POWER always with you. 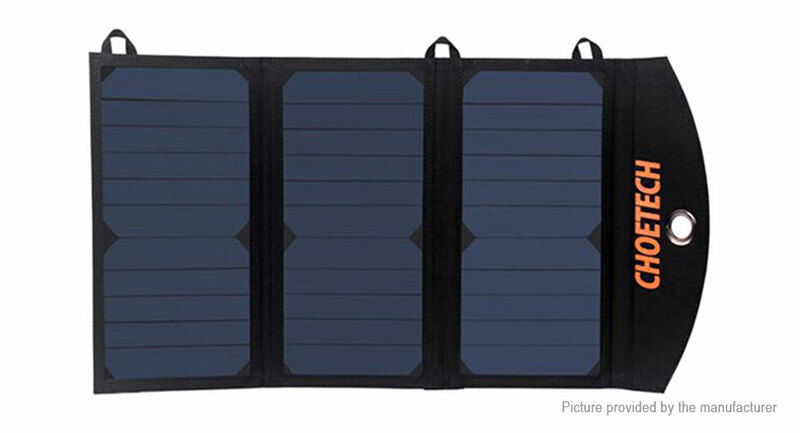 The Generator Solar Laptop Bag combines a traditional briefcase with high performance solar power to charge laptops (including MacBooks with optional adapter), smartphones, tablets, and other USB devices. 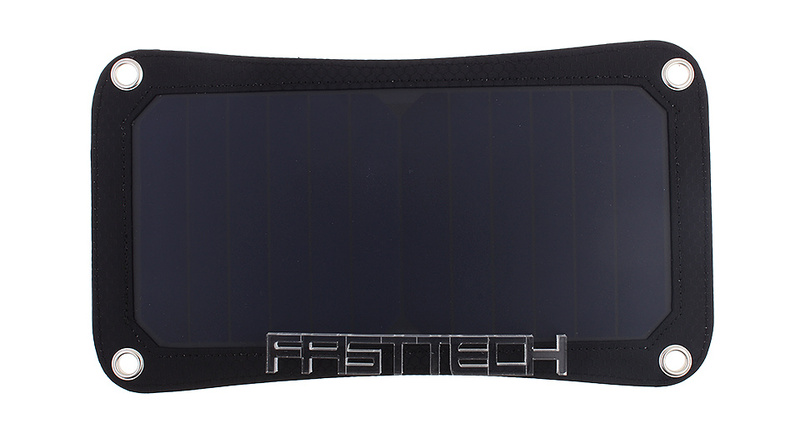 ANELS - 1 rugged monocrystalline solar panel with 17.6W total peak output at 18V. 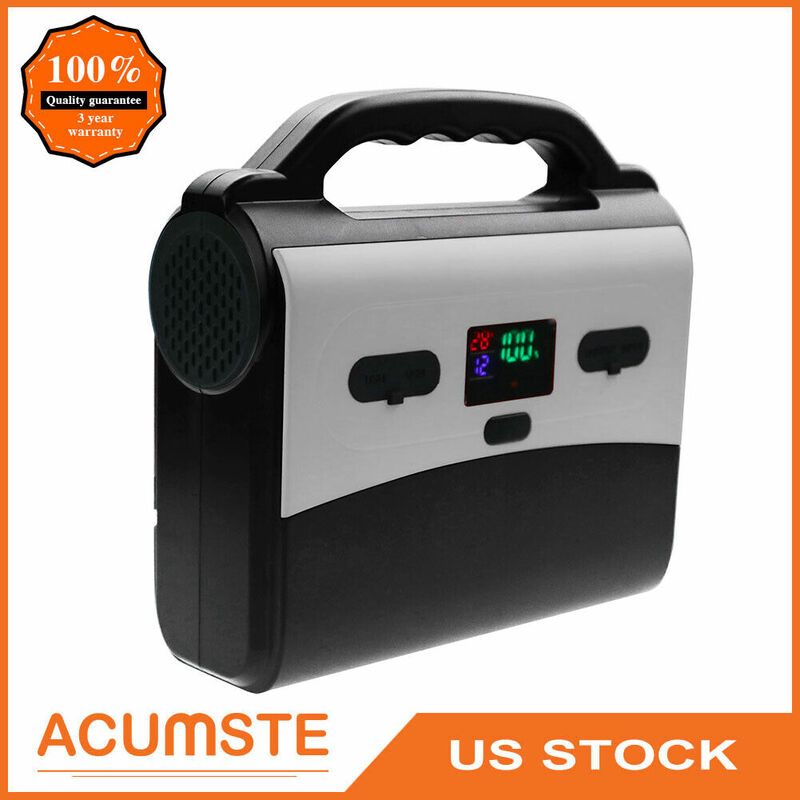 The panel is waterproof, lightweight, and coated in self-healing urethane to withstand abuse and resist scratches.